Solid engineered wood flooring is both beautiful and long-lasting, provided that you ensure proper installation and maintain proper care over the years. 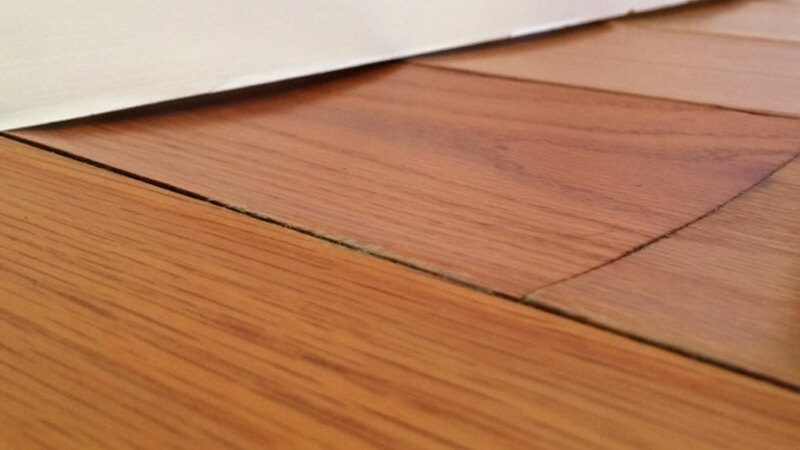 Bad maintenance can cause ripples in an engineered wood flooring so make sure you follow proper care instructions. Solid engineered wood floors that are correctly maintained can keep their beautiful appearance up for decades, however, when proper care instructions are not followed, things could go wrong. A rippled appearance in the finish and planks that are unevenly affected, for example rippling on one side but not the other, or groups of planks affected and others not, are a sure sign of water damage. An inspector will take a moisture reading of the floor to assess the real cause, and since the wood is not the issue, this cannot be covered in the warranty agreement. In cases where only parts of the floor are affected, those planks will need to be replaced. In cases where the extent of the damage is greater, the wood flooring would have to be completely replaced with new flooring. With any type of installation, it is important that the homeowner know proper care guidelines. There is a wealth of information online, on manufacturer and installer websites, that detail the proper care of solid engineered wood floors. People need to be careful of products claiming to be good for wood floors but that are actually not, and should always get advice from a knowledgeable source.